Here is the Be an Inspiration Series, a space where I challenge you with real life stories of achievers and communities that are presently changing the world or caused a revolution. Reading these stories will make you realize that you are an inspiration. Please spread the message to others and light their candle. Have you ever heard of the “Typewriter” artist. He is a legend among the creative artists whose legacy and story spans for eight decades. 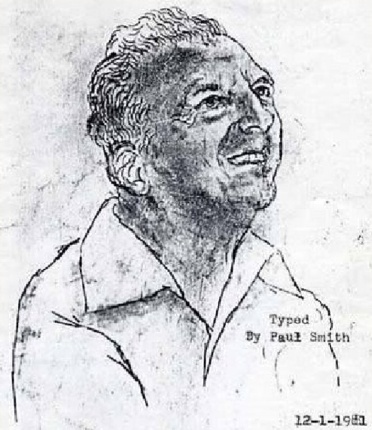 Paul Smith was born in Philadelphia, Pennsylvania and suffered from spastic cerebral palsy at an early age. This caused him not to be able to have control of his face and hands . He could not eat, clothe, or bathe himself—and this also made it difficult for him to express himself. He was not even able to attend school. However, he surprised his doctors who didn’t not think that he would live long. Despite his condition, Paul discovered that he had a talent for painting. 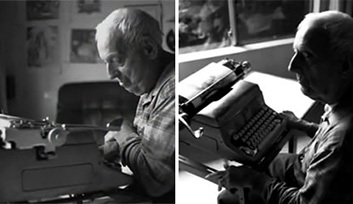 At the age of 11, He started with a typewriter that was discarded by a neighbor. What is extraordinary about his painting is that he used characters from a typewriter to create Masterpieces. Follow Darlene Myers’s board Paul Smith Typewriter art on Pinterest. It is rather sad that he did not live to see his work receive recognition. Due to his condition, which made him stop creating his quality pictures in 2004, he died at the age of 85, in June 2007. Since then, we have had technology take over the art industry yet we marvel at the refining skill of Paul Smith who created more than 400 pieces; some of which he gave to friends and Well wishers. Paul Smith shows the power of will. 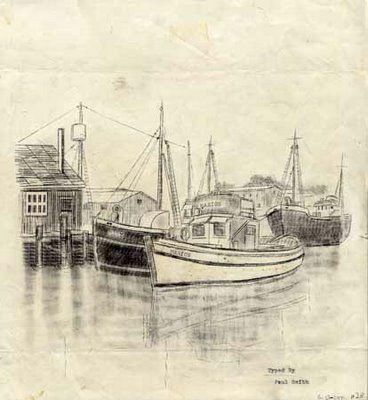 Despite his disability, he was able to master the skill of art. Today, there are many people with disabilities that are doing great things. What Paul teaches us, is that the mind can deceive us but nothing is impossible. You can achieve your dreams. There has been records of innovation in painting. However, using symbols on a typewriter to form perfect replicas of existing work, and representations of his surroundings shows Paul’s innovative mind. Using symbol keys like – !, @, #, %, ^, _, (, &, ) –, to create art is isn’t an easy task. Just imagine how manual typewriters required the ribbons to be positioned, roller adjusted, and the paper to be secured; not to talk about the Typewriters, who had no room for error since there was no mechanism for erasing mistakes. Paul would secure the shift key in a locked position to be steady while using his left hand to steady his right. He was able to create varied textures with different symbols; adjusting the spacing to type the symbols in short proximity and adjusting the roller to perfect spaces between lines. Let me remind you that you are an inspiration; your experience either good, bad and ugly can bless your generation. So see yourself with an amazing set of unique gifts and the amazing creation you are, who will change the world. Credit goes to Success stories for this Inspirational Story.